T.M. 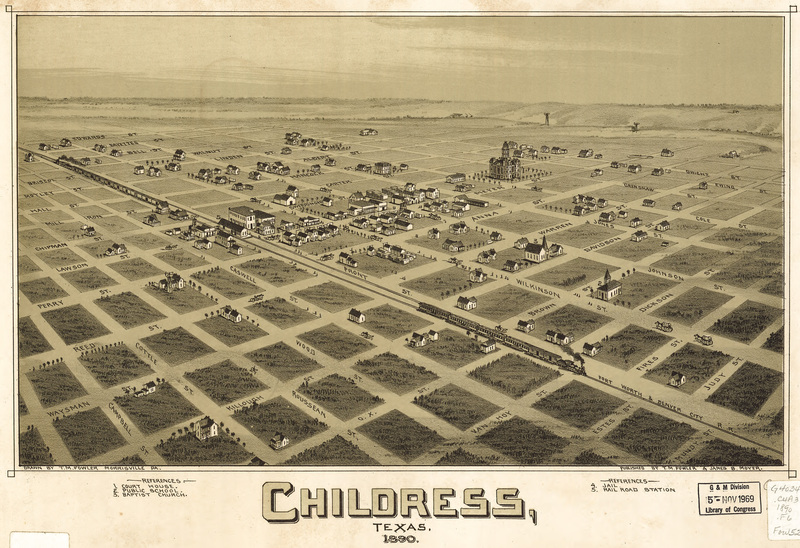 Fowler's birdseye map of Childress, Texas in 1890. 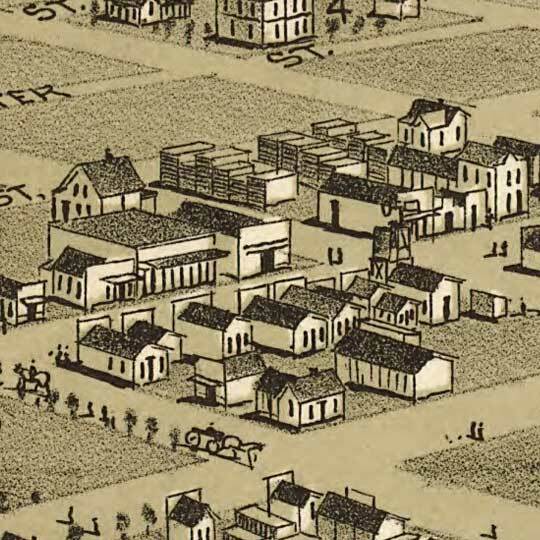 Either Childress, Texas [gmap] was incredibly ambitious with the implementation of their street grid, or J.J. Stoner had the surveyor's plan in his hands and allowed himself to take a few artistic liberties. For more maps and images from this period in the region's history, visit the Texas State Historical Association.